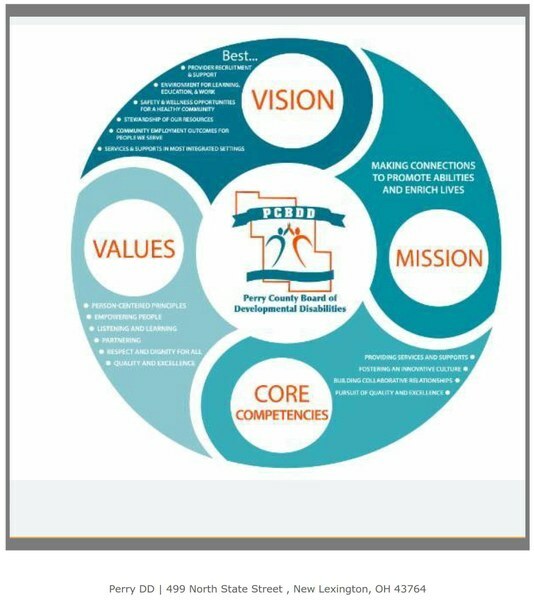 It’s that time of year for Perry County Ohio Board of Developmental Disabilities to begin strategic planning efforts for 2019. 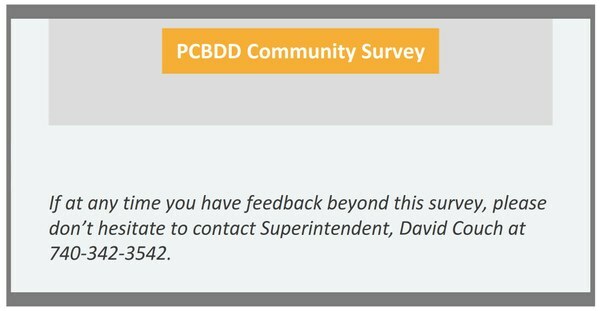 During this planning phase, we seek input from a variety of sources, including our community. 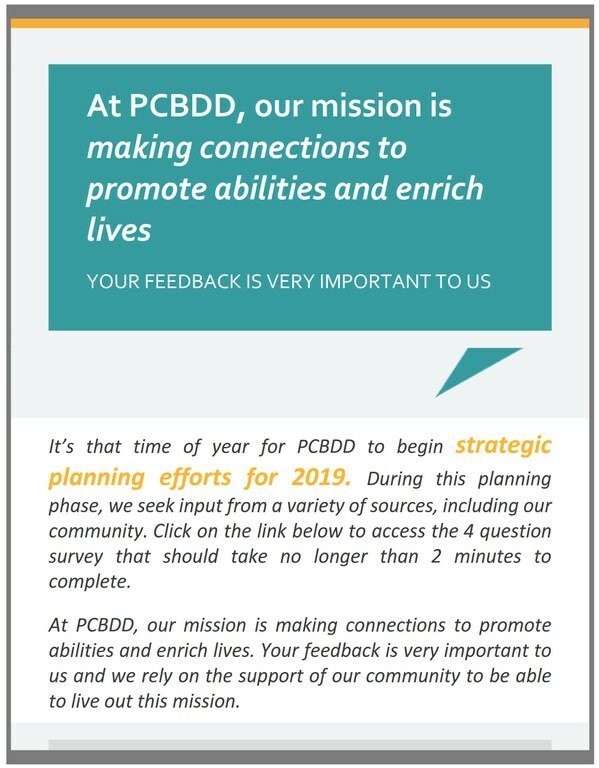 Click on "PCBDD Community Survey" below to access the survey.